I took on several new clients in 2018 and I hope to increase my client list even more in 2019. Thank you so much to everyone who trusted me with your quilt tops. I appreciate your business so much! this summer to visit family and to say goodbye to the sweetest soul I’ve ever had the honour of knowing. Grandpa Z was a man like no other and his absence is felt every single day. The loss of this beautiful man was a heartbreaking tragedy that we will never get over. I am so thankful we have a supportive and loving family to help us through it. While in Thunder Bay, I was able to deliver a couple of quilts that my dear husband’s aunt waited years for. They were memory quilts for her children from their dad’s clothes. I also gifted my beautiful niece with a quilt for her birthday. Does it matter that I was 4 months late? The very last project I completed for 2018 was a memory quilt for a lovely young lady who graduated from high school in 2017. Her Aunt wanted to make a memory quilt for her, but she was unable to find the time to do it after taking on a new job. That’s where I came in. I was able to get it finished in time for Christmas and word is that she loved it! I’m spending the holidays in Edmonton with my family and won’t head home until the weekend. I’m pumped to see what 2019 has in store for my little business! I hope everyone had a lovely Christmas with friends and family! We came home to Edmonton to spend time with my family, and true to form it was a raucous affair with lots of laughs. Right before the holiday I had an issue with my longarm machine. I blew a fuse and just my luck, I could not find the fuse I needed to save my life. I called and went to about 7 places in my area, but had no luck finding what I needed. Wednesday last, the stars aligned and I found what I needed in Saskatoon. It just so happened that a friend of mine was two blocks away from the store, and she was kind enough to pop in and pick up what I needed. I was a little concerned that there were bigger problems with my machine, but when my husband brought them home I beetled downstairs and put the new fuse in. IT WORKED! I was so relieved! Thursday morning I got the boys on the school bus and headed down to get to work. I had two quilt tops to finish and because they were on the smaller side, I was able to get them done by that afternoon. 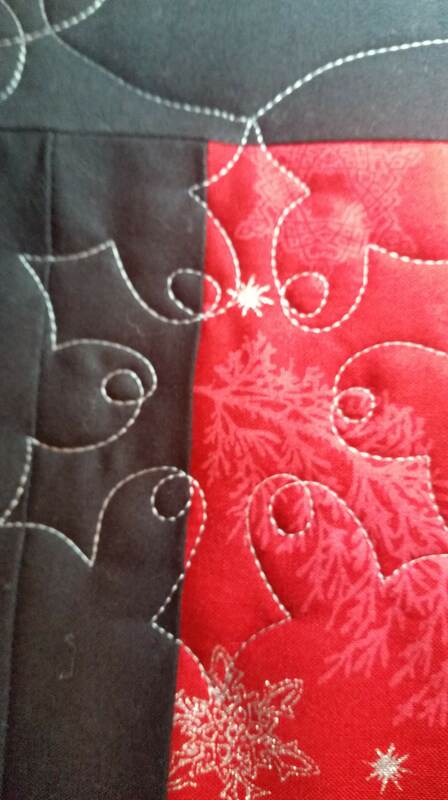 They are both such pretty quilts and I was so happy that I could get them finished for my clients before Christmas. I truly love living in rural Saskatchewan, but it does have its downfalls. Like when your Longarm machine won’t turn on and it’s the last week before Christmas and you’re getting the last of your client’s quilts done, but you don’t have any of the required fuses to get it up and running again. You call around to every place in a 100 km radius that *might* have the fuse you need, but no one has any in stock. You can order what you need online, but there’s no way it will arrive in time for you to get the work done. So you contact your clients and give them the bad news and hope that they are understanding (my wonderful clients are so very kind and understanding. Thank you so much!) Then it can be a giant pain in the a** to live out in the middle of no where. It’s times like this that I miss living in the city. But then I think of the wonderful life we have out here. How my children have freedoms they could never have living in the city. How we have privacy, and solitude, and peace. How we have become self reliant and resourceful. 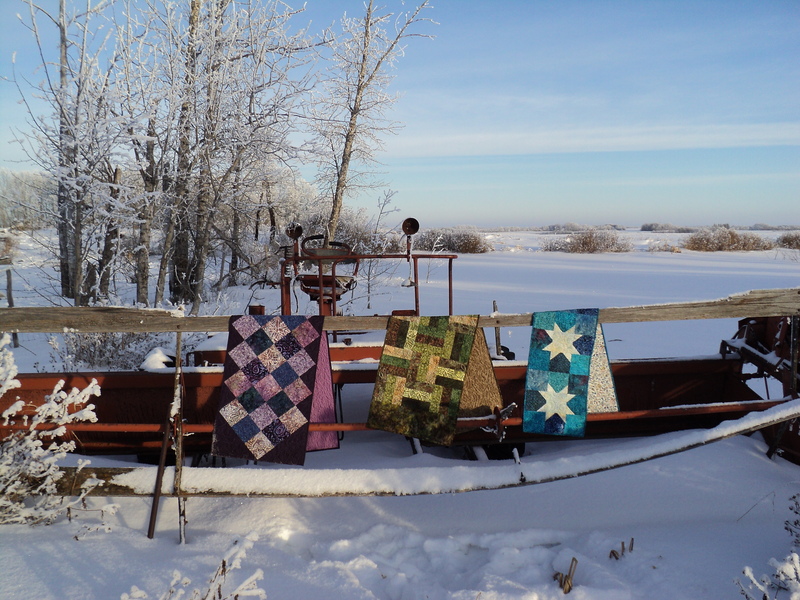 I feel terrible that I won’t be able to complete my clients quilts before Christmas, but as bad as I feel, it’s still worth it to live a life I love out here in the sticks. Back in September I received a phone call from a lady in a neighbouring town, asking if I’d be interested in having a table at their annual guild show. Of course I jumped at the chance! I was a little unsure of what I would have for displays at my table, but after consulting a few longarm groups on Facebook I decided to have a few samples of my work, a booklet of pantograph patterns that I offer, some business cards, and a handout on my pricing and how to prepare a quilt for your longarm quilter. I had a pretty good day! I gave out a ton of cards, and more than half of the pamphlets I brought. I met some lovely people as well! I had forgotten how much i enjoy these shows. It was more than 4 years since my last show and I sure hope I don’t wait that long before I do another. Once the show was done I found myself with a fair amount of work to complete. 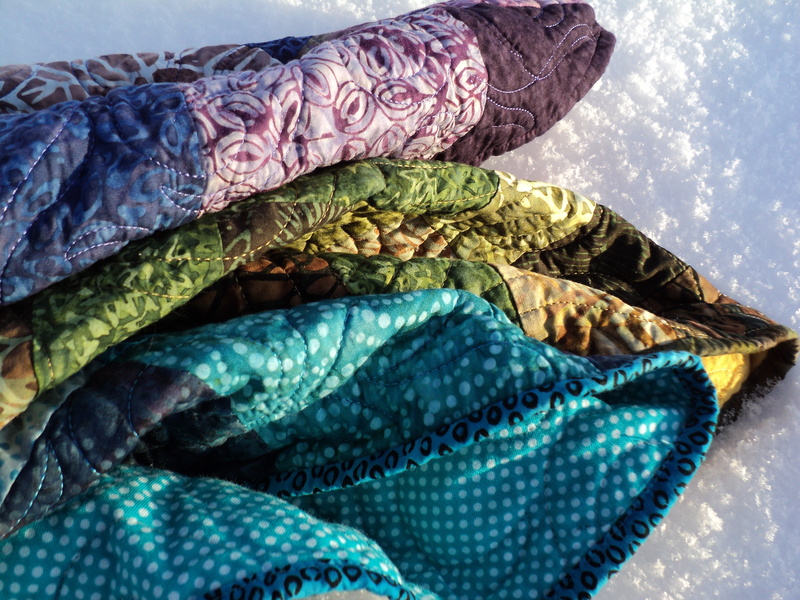 I spent the entire month of November and the first week of December getting stuff quilted up for all my new customers. I have two memory quilts to complete before Christmas and it’s going to be a lot of work, but I’m confident I can get them done. I’ll keep you updated on my progress as I go. 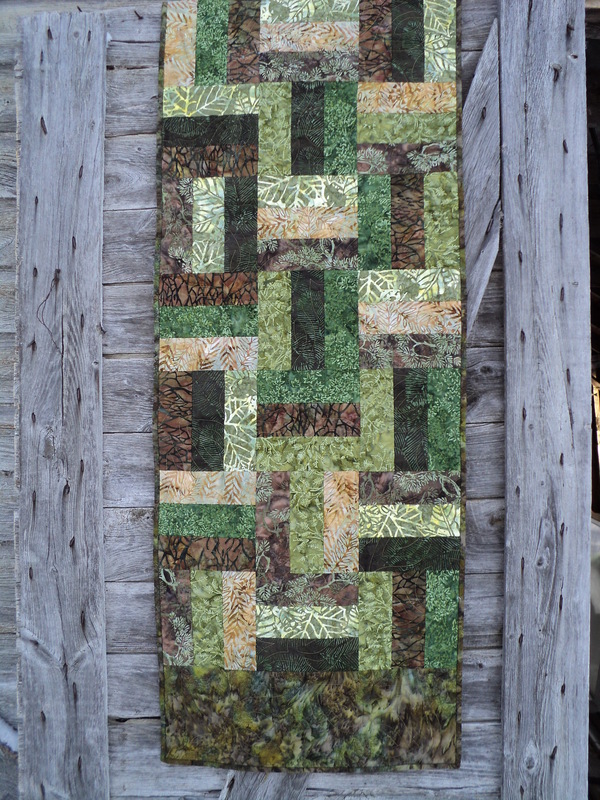 Things have so busy around here I’ve hardly had time to quilt, let alone blog. I definitely need to change that, not only for my own mental health, but to finish some projects for my incredibly patient clients. I’ve decided to join the last leg of the 2016 Finish-a-long to light a fire under my a motivate myself. The idea is to make a list of unfinished projects and then try to complete them before the deadline in order to qualify for some amazing prizes. I may never win, but I’m a sucker for a contest! In reality, the list COULD be much, much longer, but I need to make the goal attainable. I always have grand aspirations but I have a huge problem when it comes to follow through. Either I lose interest in the project shortly after I begin, or something takes my attention away and then I have trouble getting back into it. Its embarrassing for me to admit, but I have over 30 incomplete projects on the go. I hope that this will help me to cross a few things off my list. i have FINALLY completed the three table runners my friend, Karen, asked me to make for christmas gifts. yes, i am aware that it is several weeks past christmas, but THIS time it wasn’t my fault. my lovely lucey broke down just before we were set to leave on our cross country trek, and i wasn’t able to diagnose the problem or do anything to fix it until we got home in january. thankfully, it turned out to be a minor repair, and she is now humming along once more. i was given creative license, and a general idea of colours and size, so i had some fun with these. 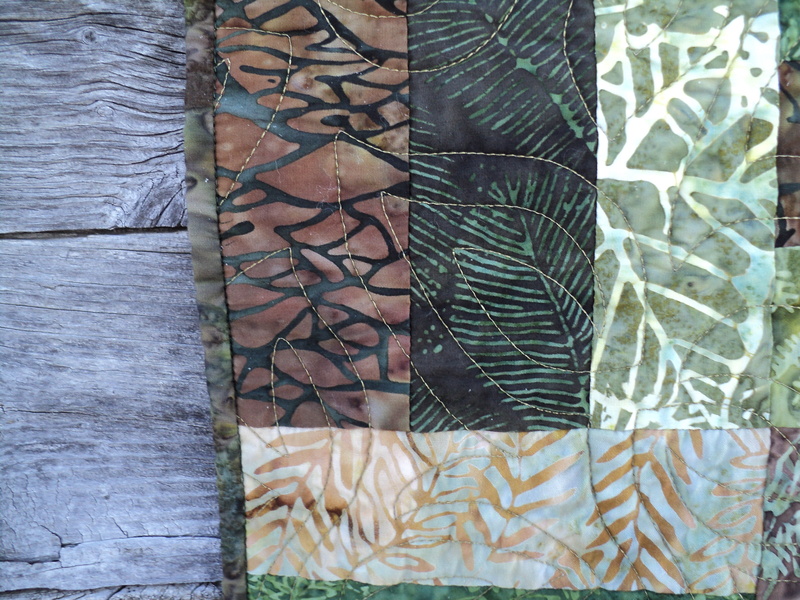 karen requested batik fabrics, one in plums, one with a seascape feel, and one that looked like the pasture in summer. 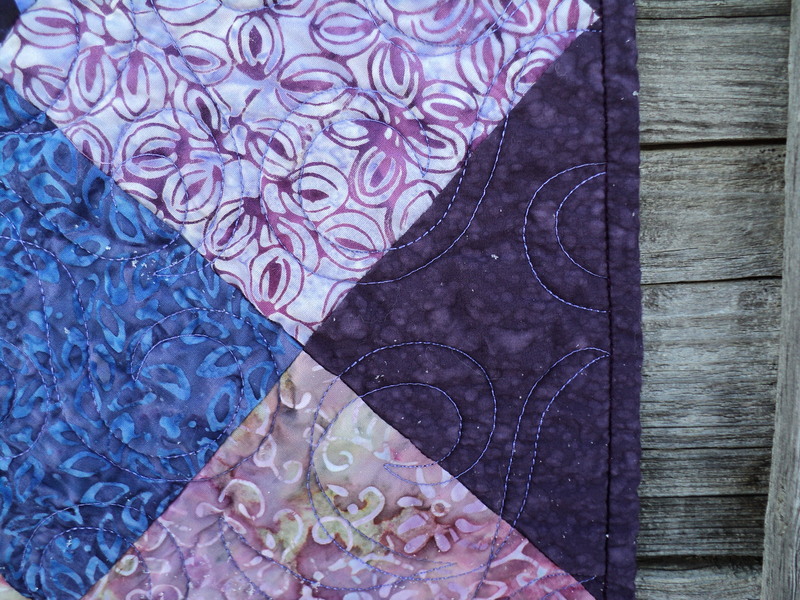 for the plum, i tried out my new-to-me sizzix big shot pro machine with the 5″ charm square die. it took a bit of fiddling to get the machine cutting just right, but i am really pleased with the result. 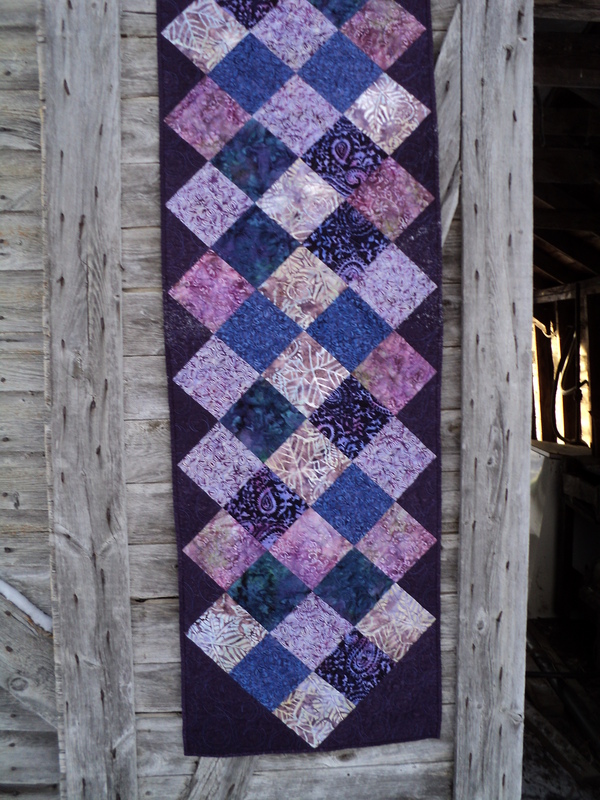 i laid out the squares on point and added deep plum setting triangles. the original plan was to leave the ends of the runner pointed, but Karen requested a rectangle, so i added the corners. i used superior magnifico thread in crocus and the windy day panto from lorien quilting, and then bound it in the same deep plum. for the pasture runner, i again used my sizzix, this time with the 2.5″ strip die.i did simple rail fence blocks, not worrying about value. i tried really hard to keep the same fabrics from touching, but as usual, the harder i try, the more it happens. i did a wide border on the two short sides and bound the runner in the same fabric. i used superior magnifico in songbird, and the ground cover panto by barbara becker. today was the perfect day to get outside and take some pictures. it was only -7c with lots of sun and a slight breeze. i love the prairies in winter! especially on days like today. 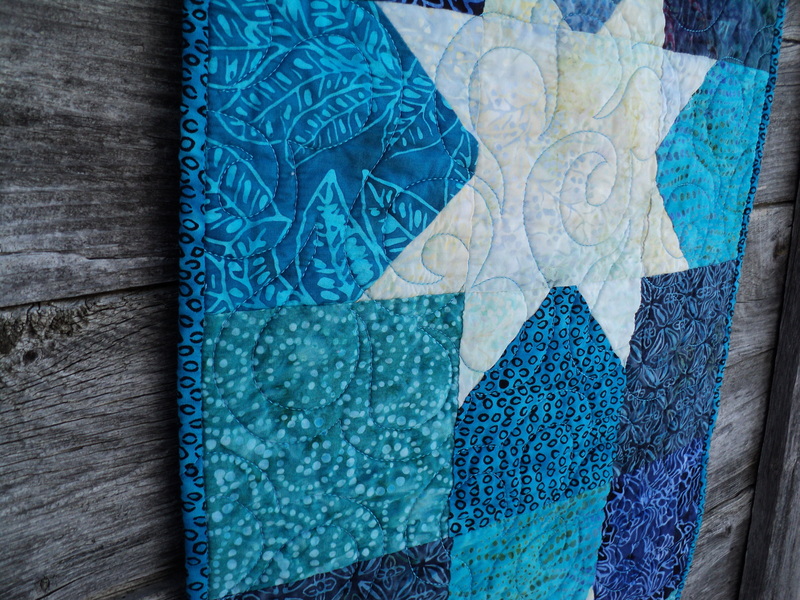 I was on Facebook this morning, and one of my favourite online fabric resources, Sew Sisters Quilt Shop, had posted a link to a wonderful blog called From Pixels to Patchwork. The lovely author of said blog, Taryn, posted two project sheet templates for keeping track of your projects. i haven’t had a chance to look at the sheets in depth, but it looks like a really great way to stay on top of your UFO’s. I know I ALWAYS have several projects on the go at once, in many different stages of completion, so many in fact, that i often forget what I’ve got on the go. I am definitely going to give this a try and see if i can conquer my overwhelming pile of half finished projects. 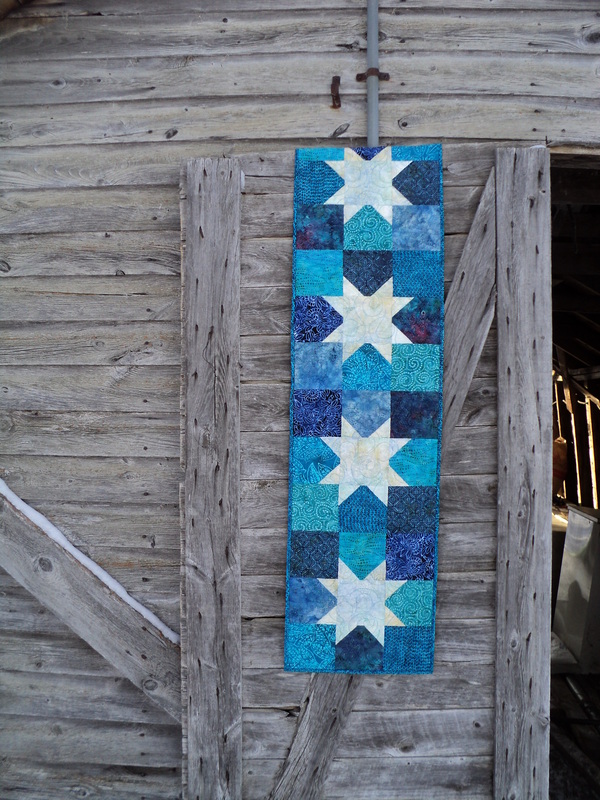 Are you a multiple-projects-at-once quilter? Or do you prefer to start and finish one project at a time?